TAW Fundraiser is rounding 3rd base!!!!! Since we're using baseball referances this time around, it's the bottom of the 9th. We have bases loaded and we need to drive this home to get the win. The score: $6063 our of $6750. If you haven't donated yet and still want to, the details below will tell you how. 3) After filling in all details hit Submit. 4) Follow the link on the next page. 5) Fill in your donation amount. 6) Fill in your paypal details. 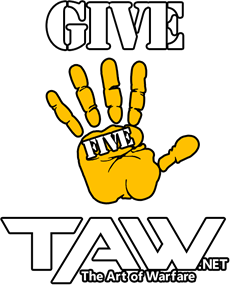 *DONATIONS TO INDIVIDUAL UNITS/DIVISIONS DO NOT COUNT TOWARDS THE GIVE FIVE FUNDRAISER. ONLY DONATIONS TO THE CENTRAL FUND. 2) Purchase or Create a product that has either the 2017 or 2018 Give 5 Logos on them. So keep those donations coming in please. Our goal is $6750 and out fundraiser is still going until June 3rd. So keep on donatin' baby. Do you like making gameplay videos, or wish to learn how to play around in Adobe Photoshop, Adobe Premiere/Sony Vegas and/or Adobe After Effects like a pro? Then SOCOP Video Development branch is where you need to run to! SOCOP is now actively looking for new Video Developers to strengthen our ranks and spread the workload, and also increase output to the Taw Gaming Channel on Youtube! We also assist the various content creators of TAW in creating compelling content for their respective Division Youtube channels! Fun right? Yes sir, that is correct! A boatload of experience & knowledge in a field growing more and more important in today’s world! A fun atmosphere to work in! If this sounds interesting to you, but you have some questions, then feel free to ask SOFF [SOCOP] at SOFF@TAW.net ! Any applications can be sent to Albenji [SOCOP DC] at Albenji@TAW.net OR FireTAS [SOCOP DO] at FireTAS@TAW.net ! Person to person interview in TS required. We all look forward to hear from you great folks in TAW ! TAW members have banded together to raise 58% of our goal! And we're not even finished the second week! That's absolutely brilliant! We have already smashed last years numbers and only a little away from smashing our TAW record! So now, we move forward, ever forward. We're still not at our goal, but we are on the right track and do it together. Keep up the awesome work ladies and gentlemen. Keep those donations coming in and we'll cross the finish line together. Social Operations is now actively recruiting for the position of FB Group Editor. This position requires a transfer to Operation's Corp/SOCOP. If you feel the urge to contribute more to TAW, take on more responsibilities and love Facebook, please read the following information and complete the form link at the bottom. A passionate member will receive editor access for TAW’s Facebook. This person is vital in creating content and manage the day-to-day activities. Facebook editors can change descriptions, tags, advertisements and comments. They can also remove posts, if necessary, and remove or ban members from the group. Why is this important? This means that SOCOP can put TAW’s Facebook into the hands of a trusted member that will interact with the public; crafting a voice of the page and really personify our organization on Facebook. Scheduled posts can go up to 6 months in the future. This role is suitable for all those who take care of the fan site and publish daily posts and articles. Marketing-Curious - Understand the imperative role a Facebook page plays in our organization. You need to have the ability to absorb the big picture and who realizes that the words and images posted on the Facebook page will be a direct reflection of the brand. Winning Personality - The page editor needs to be likeable. He/She he should be the type of individual that unknowingly draws people in like a magnet — without ever trying. Your followers relate to and support TAW. This page is a chance for us to come alive and communicate with your fans one-on-one. Trustworthy - The Editor is granted an insane amount of access. You will have to follow TAW’s Code of Ethics and trust that you will abide by these guidelines at all times. Fast On Feet - There are times when you will have to work autonomously and extremely quickly to put out fires. Together with SOCOP, you’ll have to deal with inappropriate or negative comments and content, handling disgruntled fans, and knowing what is acceptable to post and what is not. You need to have sound judgment, comfortable being held accountable and who has the ability to make executive decisions on the spot. Flexible - It is extremely important that you are able to go with the flow and quickly change course. As the Facebook page evolves, you will have to suss out how many times daily you want to post, what the page editors should post, and what types of media to post. It is important to try new ways of creating contests and competitions for fans. You are willing to experiment to see what works best with your audience on the Facebook page using various new tools as they emerge. If you are interested in this position as Facebook Editor in Social Operations, please follow the link below and complete the form. Someone from SOCOP Staff will contact you within 24 hours, and thank you for considering this very important position. Get excited! I mean REAL excited! Because we have a new record in TAW!!!!!!!! Today, we have broken our all time high record for fundraising! The year of 2015 held our highest record previously with $4525, Today, we smashed that record to bring home the new record of $4581. This greatly shadows 2017's Fundraising of $3137. And all this is possible because of you, the TAW members donating to help keep our community alive. So be proud of this new record. Target Goal is in sight. Target locked. You are clear to donate. I repeat, you are clear to donate. TAW Radio Wants your input! 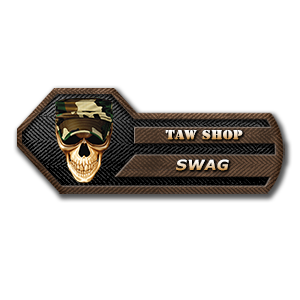 PetersonUSMC from TAW Radio Here! We've come up with an awesome survey that we would love to have you fill out! The purpose of this survey is to help us improve our quickly growing radio to become something better then it already is! So please if you can take five minutes and fill out our survey it will help us figure out ways we can continue to improve our station and become better then we already are! "Who we are today is who we are for the rest of our lives, we cannot change whom we were yesterday for our past shall always be unchangeable"
Thank you for your time and consideration from myself and the staff here on TAW Radio! TAW Shop: 15% OFF Everything this week! 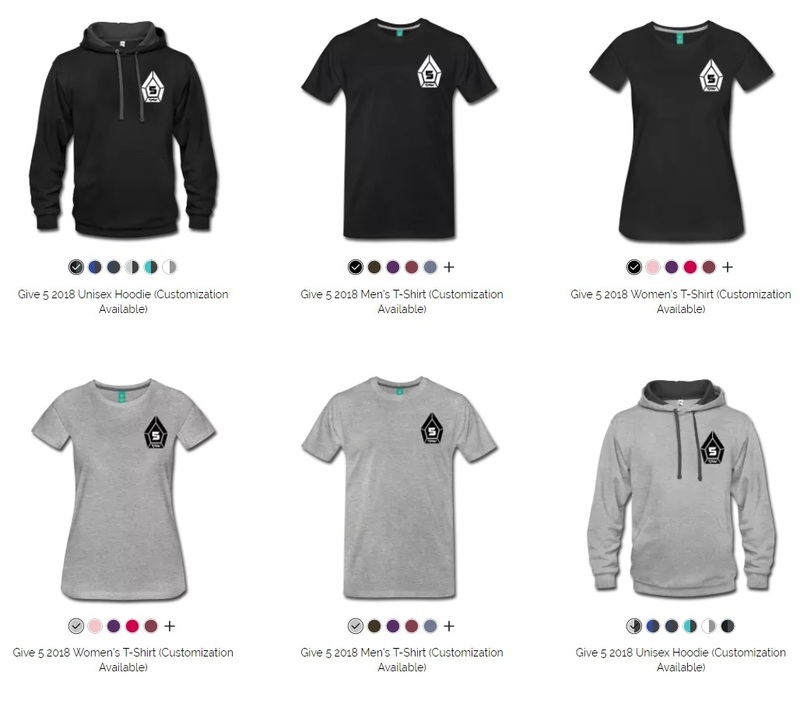 As we are half-way through the Give 5 event, we would like to remind you that you can also donate through purchases of awesome TAW Swag! And we spice it up with some awesome discounts! If you buy any Give 5 related swag, please remember to fill in the Verification Form so you can receive your Give 5 Tab. 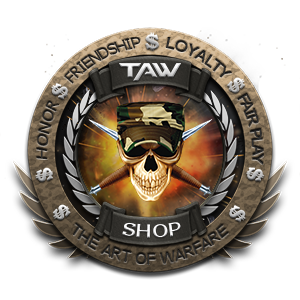 Once you place your order remember to fill in our form so we can verify your purchase and get you another sweet bonus - TAW Shop Swagster Tab to shine on your dossier! TAW members have banded together to raise $3898 so far. And we're not even finished the second week! That's absolutely brilliant! So now, we move forward, ever forward. We're still not at our goal of $6750, but we are on the right track to get there and we'll do it together. So if you haven't donated yet, or you still want to donate more, here's how you go about it. 1) Go to TAW Shop NA or TAW Shop EU. Good morning everyone, and a good morning it truly is. The reason it is said to be such a good morning, is that no later did we close the day off just over $2k yesterday, than I wake up with an email from those hard working guys up in Treasury. The email is simply this, we're now at $2526 in donations. This is absolutely amazing, and it's all because of you, the TAW members, showing your support for our community. So please, keep it up folks, and we'll reach that $6750 marker in no time. SOCOP is looking for new members! Did you ever wish to be able to wear fancy robes and be on top of the Teamspeak server when in TAW? Well, here you have the opportunity to do so! SOCOP is actively recruiting and looking for TAW members who want to take over a PIA liaison position. Your job will be to stay in touch with the Army PIAs assigned to you and be their point of contact. For that, experience with PIAs is highly recommended as it helps you understand what your PIAs are doing so you can help and assist them. We're currently in need for 4 NA and 3 EU guys (and gals) so if you are interested, please (if you haven't already) take the OpenLearning PIA class so you get a better understanding of what it's all about and talk to me, also in case you have any questions. Btw: We don't actually wear robes all day long, it'd be really fancy though. 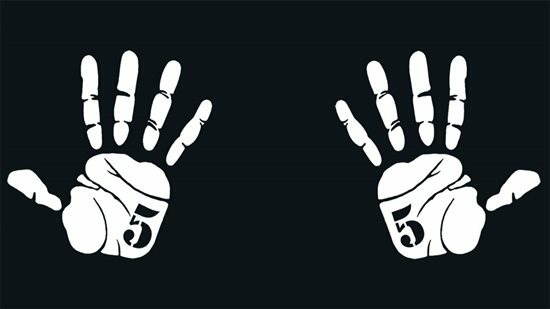 Recently, there has been an influx of meme's, er I mean blog posts, regarding the Give 5 Fundraiser. And that's is a good thing. The reason why it's a good thing, is because the staff of TAW not only want to bring it to the attention of all members, but also want to keep everyone updated on our progress. 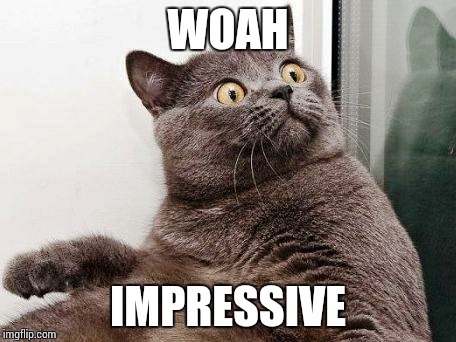 And Mr Flufferbutter is right, it is impressive. We're closing our first week of the Give 5 Campaign at $2,198. $2,198 out of our $6750 Goal. 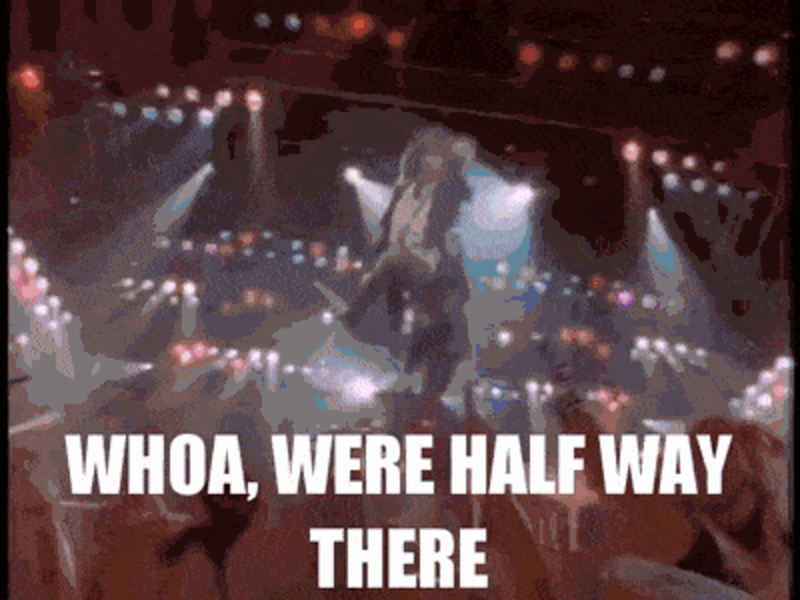 1 week in and you, our TAW family, have already put us at 1/3 of our goal. That is something you all can be proud of. But we can't slow down now. We need to keep this momentum going like a runaway freight train. We need to keep this pace going if we want to make our goal. And we can't do it without you. Random TAW Member: But Rekon, how do I Give 5? Rekon: I'm glad you asked "Random TAW Member". Below, is how you can Give 5. So please, keep at it folks. TOGETHER, we can make this goal. More posts to come as we get closer to our Goal. "And there we go folks, Give 5 starting strong right out of the gates. In lane 1 we have all of TAW members, 2605 members strong and boy are they wasting no time in this race!" Give 5, the annual fundraiser of TAW. Now when it comes to any fundraiser, there's only 2 ways to start. It's with great pride to see that TAW has chosen Option #2. Fundraiser will be conducted from April 29 - May 27. What does TAW have to pay for? If you have any questions about our expenses or revenue sources, please feel free to contact any CC member for more information. Realistically would only expect half of the the members to donate. Would still need a fundraiser next year. if did not have one towards end of this year. DONATIONS TO INDIVIDUAL UNITS/DIVISIONS DO NOT COUNT TOWARDS THE GIVE FIVE FUNDRAISER. ONLY DONATIONS TO THE CENTRAL FUND. 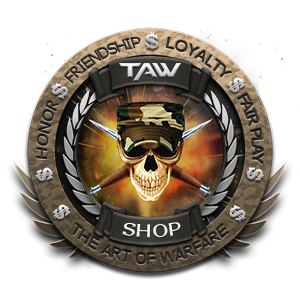 Another way, is as stated, visit our TAW Shop and purchase either a premade item with either the 2017 or 2018 Give 5 Designs on them or create your own product with one of the 2 logos on them. Then fill our THIS FORM after completing your purchase. So, you noticed that we already stated that we are off to a strong start. And it's true, we are off to an amazing start, 3 days in and we're already sitting well ahead of the pack. Thank you to everyone who participated in Karaoke night, with a peak of 35 people listening through TAW Radio! People are already requesting for another karaoke night, which means you can definitely work up the courage to join and sing with us next time. ^_~. Please take a moment to give us your feedback on the events survey. For the May TeamSpeak event, we will be trying something a new - Riddle & Escape Room: Can you get out? Vanguard’s very own Vevandre from DC Universe Online will be Game Maker and Master of these brain teasers. The event will be held on Saturday, 12 May @ 9pm CEST/2pm CST. An escape room is an interactive game where you are “trapped” in a room. The participants must try to leave the room within a certain time by searching for keys, codes and instructions, and by solving puzzles and riddles. *Important* Please arrive on time as there will be two parts to the evening. Part 1: Answer riddles to receive hints and extra clues for the escape room. Part 2: Test your ability to solve puzzles with a three tier escape room. Level 3 - Hard: Are you the big cheese? Will you escape or be stuck in the room forever? P.S. Answer to the Riddles is 10. Firstly, fish don’t drown, not in the conventional sense anyway. Secondly, if they are all in a tank, the fish cannot swim out of it or escape. And thirdly, if three have died, they would be floating at the top of the tank. Which means all 10 would still be in the tank.